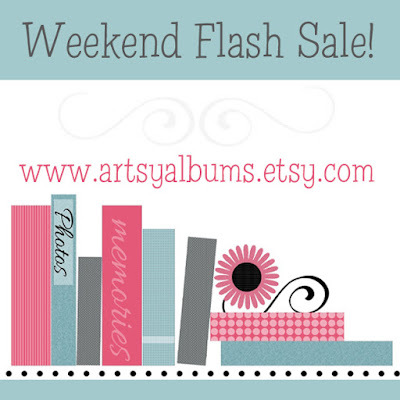 Artsy Albums Mini Album and Page Layout Kits and Custom Designed Scrapbooks by Traci Penrod: Weekend Flash Sale!! Hurry, quantities are limited on many designs! I love to shop here! Welcome to Artsy Albums - a place for memories. The mission of my company is to create scrapbooks and mini album kits, that encourage people to share their stories, preserve their photos, and document their everyday lives. My personal philosophy is to work to create a life I love everyday, thanking and giving God the glory in the process, and putting others before self. My joy comes from my family and friends, my passion for scrap booking, the sense of accomplishment I get from my work, and above all, my faith. Thank you for visiting Artsy Albums! The designs and pictures listed on this blog are provided here for personal use only and may not be sold, reproduced or used for commercial or submission purposes in any form without my written permission. Copyright 2014. All rights reserved: www.ArtsyAlbums.com. Some of the links you will find in my blog posts are affiliate links. I will provide these links where possible as I earn a small percentage each time you visit scrapbook.com. Thank you! COPYRIGHT INFORMATION: The designs and pictures listed on this blog are provided here for personal use only and may not be sold, reproduced or used for commercial or submission purposes in any form without my written permission. Copyright 2018. All rights reserved: www.ArtsyAlbums.com. Blog Customized by BradfordWebDesigns.com. Simple theme. Powered by Blogger.